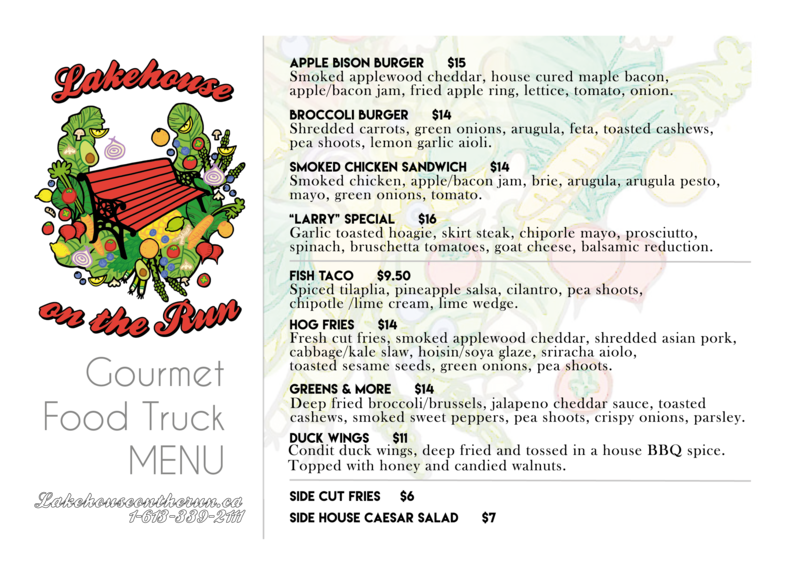 Lakehouse on the Run Gourmet Food Truck, formally known as The Lakehouse Restaurant on Paudash Lake is coming to Lakeview every Friday starting July 13th from 11:00am to 3:00pm! We are so happy to have Carly and Shaun provide Chandos Lake with their delicious menu of gourmet items! Visit them at www.lakehouseontherun.ca for more information. The food is excellent , this is not a chip truck it’s an experience . Stop and enjoy something special.